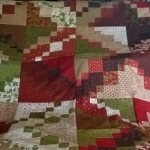 A scrappy log cabin has been on my Quilting To Do List forever. 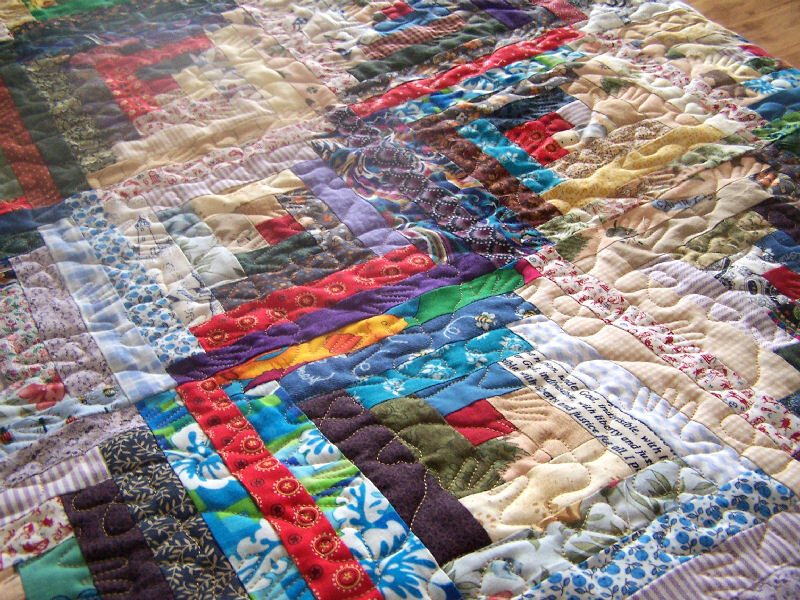 I love log cabin quilts. Especially those in a barn raising layout. 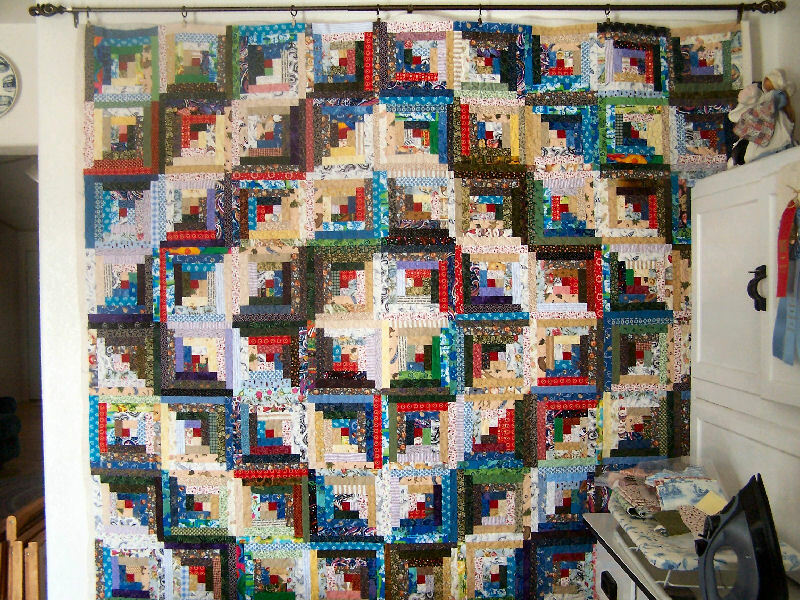 My first attempt to sew a quilt was with an Eleanor Burns “Quilt-in-a-Day – Log Cabin” book. It didn’t go so well but I was not deterred. 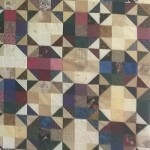 Fast forward a number of years and I am machine quilting this scrappy log cabin for a quilter friend. I wanted to keep it for myself! 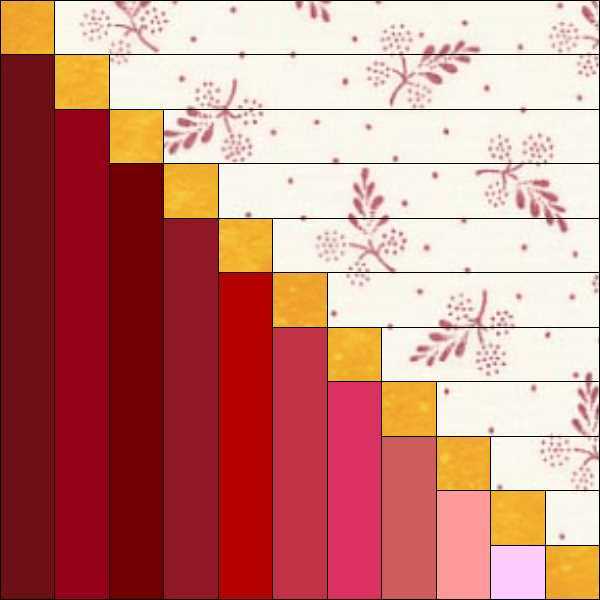 Just recently I have begun using the Inklingo .75 inch Log Cabin Collection to print scraps of log cabin strips for a quilt project I plan to start in the new year. 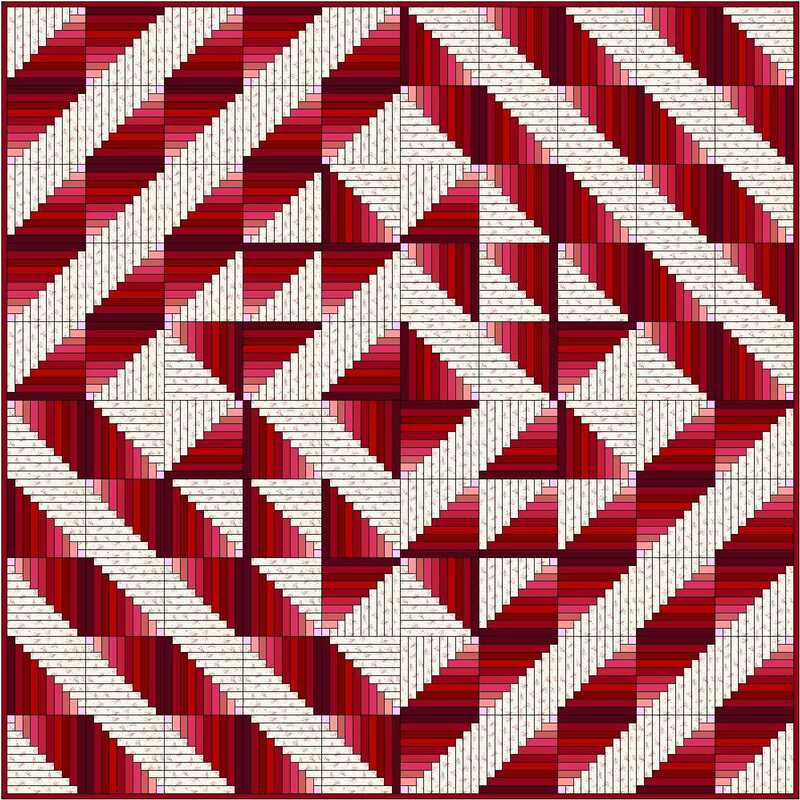 The quilt blocks are going to have an extra .75 inch red square running through the middle separating the light and dark fabrics similar to the EQ7 block below. 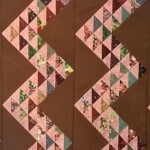 With the extra squares, the log cabin blocks finish at 8.25 inches. 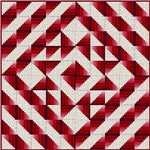 I am planning a 12 x 12 block layout [144 blocks total] in a barn raising pattern. 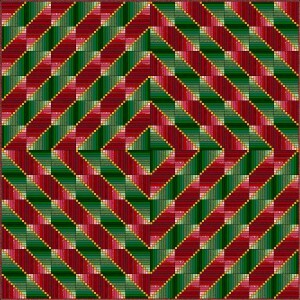 That means I need to print 144 light strip sets, 144 dark strip sets and 1584 small red squares. There is a Combo printing option in the log cabin collection I am using that allows me to print a complete set of strips on a 6.75 x 10 inch piece of fabric. 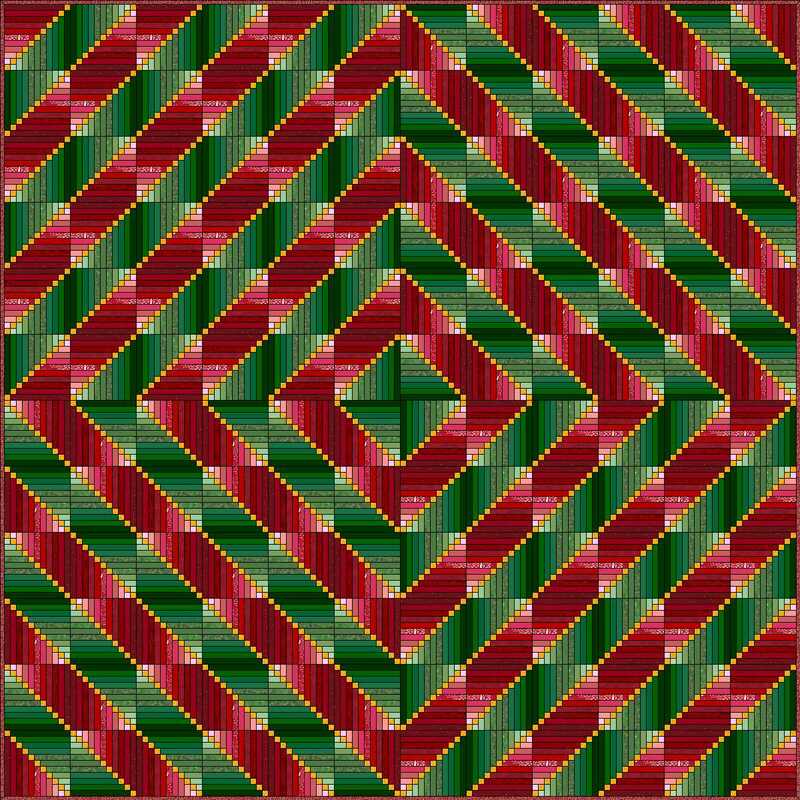 This is a non-scrappy rendition of my planned quilt layout in EQ7. As long as I color every strip in the block with a different color or fabric in Electric Quilt, I can use the Fabric Yardage Chart to tell me the number of shapes I need. This is how I figured out how many small red squares I need to print. 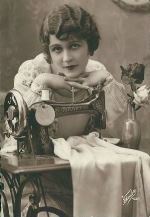 (The yellow fabric in the chart above.) 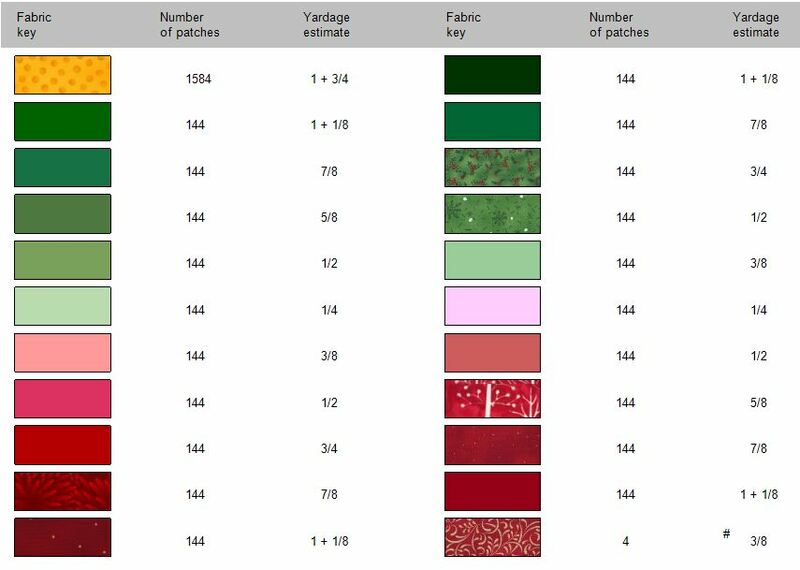 You can find the Fabric Yardage Chart in EQ7 under File > Print > Fabric Yardage. 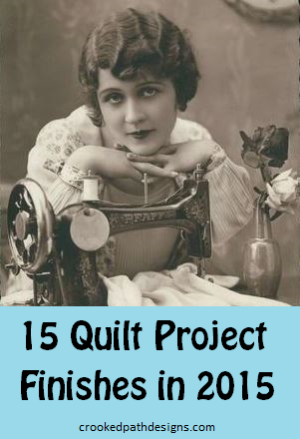 My stash is woefully lacking in lights and neutrals and I didn’t have enough different fabrics to print 144 sets of log cabin strips. 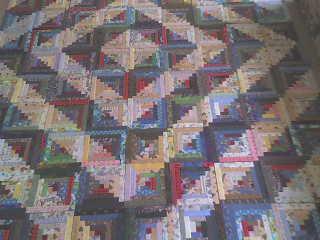 During Thanksgiving week I was house sitting for another quilter friend who lets me comb through her scraps and use whatever I want. She has her scraps sorted by color in a dozen or more baskets. You can see 2 of the baskets in the top righthand corner of the photo above. 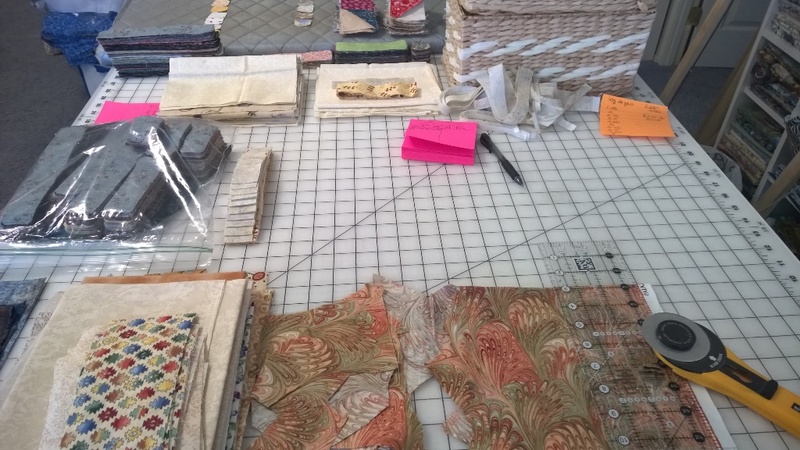 Thanks to her generosity, I was able to add enough fabric to my light and dark scraps to print out all the strips I need to finish my quilt. Note the plastic bag with stacks of log cabin strips already printed and cut. 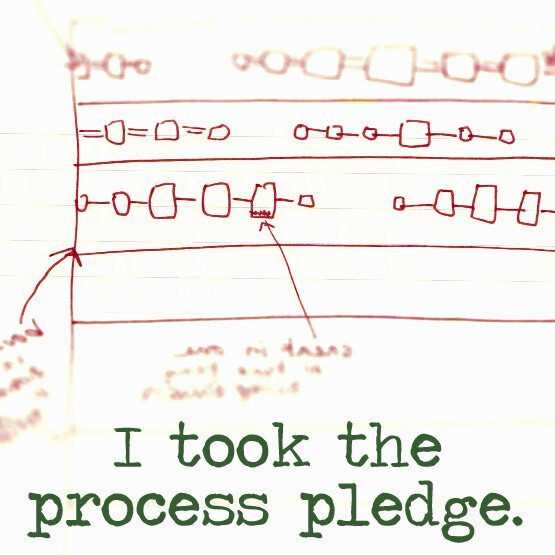 I am almost done with the printing. 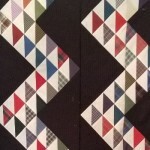 There are a little over 50 dark fabrics left to print and cut. 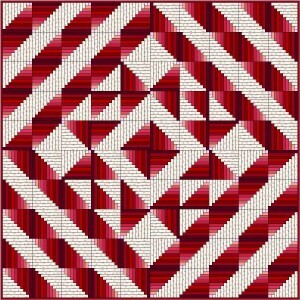 I need to find the perfect red fabric for my small squares and then I am ready to start sewing my scrappy log cabin in 2015! The Inklingo Log Cabin Collections come in 3 different sizes.